Four days into my re-introduction into the wonderful world of prospect research with The Helen Brown Group, I found myself listening to the APRA Prospect Development 2016 keynote speaker, Risa Mish, speaking about The Art of the Sale. It was essentially an overview of everything I had been learning as a real estate agent. When she was relating it to fundraising, I knew I was where I should be! I found that the role of a real estate agent, especially one new to the business, you act as both the prospect researcher and the frontline fundraiser. You need to build a pipeline of potential business to successfully gain clients, much the same as fundraisers need to build their pipeline with potential prospects. This process takes time and you have to get comfortable with rejection. We were taught that every person within five feet of you is a potential client. You never know who needs help buying or selling a home. You can never assume someone has an agent or is going to use a past agent. I really had to change my way of thinking. This has helped me as a prospect researcher, because I was forced to think of different ways to find prospects, looking at different industries or trends to find potential donors. Never assume and Trust your gut were the two big takeaways. To be a successful real estate agent you need to be able to read people, try to understand their personalities, and adapt your pitch accordingly. It’s much like trying to write a profile on a prospect from internet searches and trying to glean some sort of idea of what that prospect’s personality may be. As a new agent, we were required to take a DISC-test – you can take the test for free here – which assesses your behavior traits. Not only did this help tremendously in understanding others, it helped me have a better insight into myself, my personality, and how I am perceived by other people. This was highly useful not only for speaking to clients, but also great for communicating with colleagues too. Our founding broker stressed that you must understand your audience in order to effectively get your message across. This always made me think about working with gift officers and managing their personalities and different styles. It’s important to understand where the gift officer is coming from in order to effectively and efficiently give them what they are looking for. This is also true when it comes to writing profiles; we need to provide them in a format that is easy to read, easy to absorb, and gives the most pertinent information. We also learned as real estate agents that we need to have constant communication with our clients. That doesn’t mean you need to call them every day, or even every week. What it means is that you should have at least one meaningful contact with them a month. This can be in the form of a newsletter, phone call, invitation to an event, or sending them an email. Communicating doesn’t always have to be business-related either. It can be something about the news or the local sports team. It just keeps you top of mind. Initially this only related to me in terms of what frontline gift officers would/should be doing. But I began to think how important this is for prospect researchers. We are the ones easily forgotten, sitting in the back of the office with our heads buried in our computers. We want to be top of mind to the gift officers, especially if we want to be seen as part of the fundraising team. It becomes so easy to be complacent with just sending an email, even though you might be five feet away. I feel as though this communication distance is what leads gift officers to drift back into the habit of asking for “research on Joe Smith.” If we just pop over to ask a question maybe once a week, or make a point to have lunch with colleagues once a month, it keeps the relationship strong. At the Helen Brown Group, almost everyone on our team works remotely, which can create challenges to keeping ourselves top of mind with each other, since we can’t just walk over to say hi or have lunch. Like I mentioned earlier, it is important that we continue to communicate, no matter what form that takes on. As others have mentioned here on the Intelligent Edge, at HBG we use Hipchat to communicate with each other and we also have bi-weekly video-conferenced staff meetings. These work great to keep in touch with colleagues, brainstorm, etc. But with clients that are remote, it can be a whole new challenge. Staying connected with them can be as easy as remembering to send an email to give an update, or putting a scheduled call on the calendar. Even if something comes up and you can’t get on that call, you are still on the top of their mind. In my previous prospect research job, I worked remotely for almost five years, 2,000 miles from my institution and my colleagues, but every time our regional gift officer came out to Colorado for visits, I would make sure we got together for lunch or drinks, just to maintain that personal relationship. Keeping up with the news and trends are essential to both real estate and fundraising. When the cost of oil plummeted last year, there was a mass exodus of oil workers from Colorado back to Texas. As a real estate agent, this created an opportunity for me to find out where most of the oil execs lived to potentially gain clients. At the same time, the regional gift officer I previously mentioned cancelled many of his trips to Colorado for the same reason. But even during the housing crisis, there were new opportunities for real estate agents to become buyer agents for property investors that were scooping up properties for pennies on the dollar and then selling them for a hefty profit when the market turned. As a prospect researcher this creates an opportunity to see who in our database works as either a real estate agent or real estate investor. Keeping up on trends is must for both industries. Another important trend to follow is wealth and giving. There is an obvious connection to wealth in both real estate and fundraising, but giving is useful to both as well. As prospect researchers, we have seen the continued shift in giving trends among Baby Boomers, Gen-Xers, and Millennials as these groups age. Millennials with new money (tech industry, finance) tend to spend at or beyond their means on real estate. The aesthetic of the home is often modern/contemporary, near a downtown central location (so they can see and be seen), has modern amenities, small or no yards, and is turn-key. Millennials that may not have wealth yet tend to be fiscally savvy, buying homes and having roommates that pay the mortgage; buying tiny homes and saving money by lowering their bills; or living with their parents and saving money. This correlates with some of the giving trends that show Millennials want more say or have a seat at the table when making donations. They tend to want people to know that they are giving. Old Money real estate transactions often happen without a home even being on the MLS or being sold off market. Often a real estate attorney will act as the trustee of the home, so the home will be in trust, not in the true owner’s name. They tend to do the deal more anonymously, bringing less attention to their buying and selling of properties. Old Money donors are more likely to give anonymously and keep a lower profile. Depending on the market, real estate agents will often refer to the Capgemini World Wealth Report, much like prospect researchers will do when looking for UHNW prospects. Agents want to know where to market high-end real estate to potential buyers, so they understand where the wealth is too. Real estate can show you more than just the assets a prospect has. It can help you prospect for new donors by looking at trends of where the wealth is migrating. This is a great resource that links to public assessor webpages (if there is one) and can be searched by each state. I use this tool often. It calculates the income needed to qualify for a mortgage. Obviously, many high net worth prospects purchase their homes with cash, but this can help give an estimate of any prospects income. For example, if you know that a person purchased a home for $750,000 in 2006 (you can use this link to find historical mortgage rates) at around a 6.5% interest rate, you know the annual income required is around $203,000. Like everything we do, this is a ballpark calculation, but it gives us something tangible. Yes, Zillow. I’m sure we’ve all had arguments amongst ourselves and gift officers about the validity of Zillow. I know I have had many. But believe me, this is a real estate agents worst nightmare. Try telling a potential client that despite what Zillow said about their home – the one that hasn’t been updated since 1975 and is 2,000 sq. ft. smaller than the average remodeled home in the neighborhood – it isn’t actually worth $800,000, despite the market being “red hot.” It might sell for $375,000. I have had to stop bashing Zillow as a whole though, because it actually can be a great tool for prospect researchers (and home buyers/sellers). The criticism needs to be directed towards the Zestimate. The Zestimate is indeed a very poor indicator of market value of a home. Can the Zestimate be right? Sure. Hogle Zoo’s Eli the orangutan went 7-0 in predicting the Super Bowl winners, so everyone is bound to be correct sometimes. The Zestimate is an algorithm based on market trends, schools, location, recent sales, etc. It does not take into account if a home has been updated, additions, or quality of the home. The Zestimate can be more accurate when looking at townhomes, condos, or developments where the homes are all very similar in size and shape. What I do see Zillow being useful for is recent sales info, which will often have pictures so you can see for yourself if a home was updated or needed work. If a prospect recently purchased a home that needed to be renovated, they may not be ready to make a gift this year. Zillow will often have accurate pricing history, rental history and property taxes. I often use it to make my own judgement of market value of home. This book is a good guide to the insight of the wealthy. It may be a little outdated in terms of technology and market trends, but it gives some good reminders of the characteristics of the wealthy, especially Gen-X and Baby Boomers. I think it is also gives some useful information and tips that, as prospect researchers, we can bring to the table for strategy sessions with gift officers. 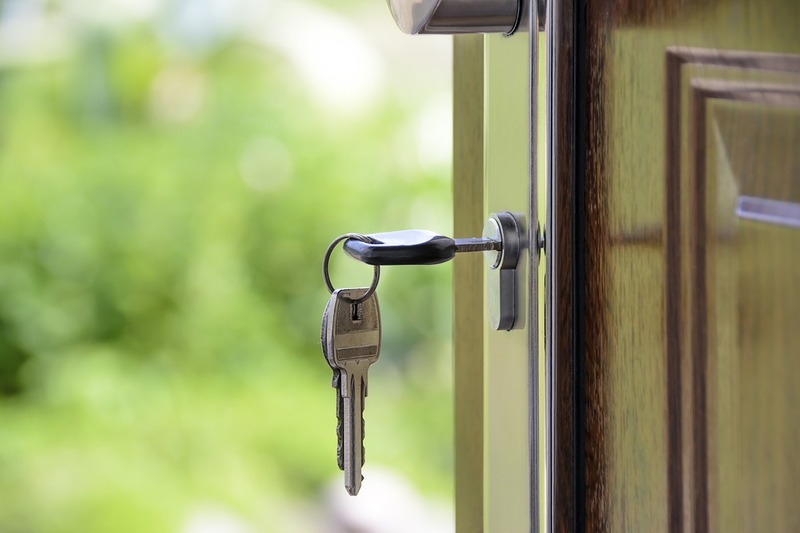 Joint Tenants or Tenancy – this means that owners of the property have equal shares of ownership and if one of them passes away, the shares are passed onto the remaining owners equally. Tenants in Common – this means that at the time of the purchase, each owner owns shares of the property, which do not have to be equal. If an owner passes away or decides to sell or will their share to someone else they can do so, without the other property owners consent. Quitclaim Deed – this just means that the property ownership is transferred to another person, usually a family member or trustee and usually no monetary transaction took place. Don’t be afraid to build relationships with local real estate agents. As I mentioned above, real estate agents have a good idea of where wealth is in your local area and nationally. You could also reach out to an agent in an outside area you are researching, they would likely love to share information (agents will love to know where they might be able to find potential clients). One thing I’ve learned is real estate agents are willing to learn from different sectors and try new things. I think as prospect researchers we should look outside the box too and see if we can find a better or different way to do things. Similarly, get to know a local mortgage broker. Real estate agents are not finance experts by trade (although some have finance and or mortgage backgrounds), and are required to inform clients to seek a qualified mortgage broker or tax attorney for financial information. Mortgage brokers also have their pulse on markets. I follow this weekly video blog to give me a good overview of what went on for the week. I have never met a more positive, glass-half-full group of people in my life than real estate agents. The consistent theme of the real estate firm I joined was positive affirmation, keeping an open mind and don’t dwell on the negative. I learned about the power pose and the benefit of positive thinking. I learned not to take things too personally. I learned how to better give and receive criticism. I learned to remember to “fill the bucket” and give thanks when someone helps you. It also hammered home for me that it is important to be yourself and trust what you know, but also to understand and embrace what you don’t know. I was remined to not be afraid to ask for help. I think 2006 me would have rolled my eyes at all of this, but then again 2006 me thought I knew everything. I did not leave prospect research because I was unhappy with what I was doing or unhappy with my colleagues or institution. Quite the opposite, I loved working there. But life circumstances drove the decision. As a real estate agent I was helping people, which did feel good, but I never felt like I was helping enough. I have always been in the nonprofit world and it look me taking a chance and leaving for me to know that it was where I wanted to be. It taught me a valuable lesson: Don’t be afraid to take chances.